Havana. To eat, drink, share time with friends and at the same time experience the unforgettable instant when a ship enters Havana Harbor or a seagull touches its beak to the waters of this Antillean sea nothing else is like La Barca Restaurant. 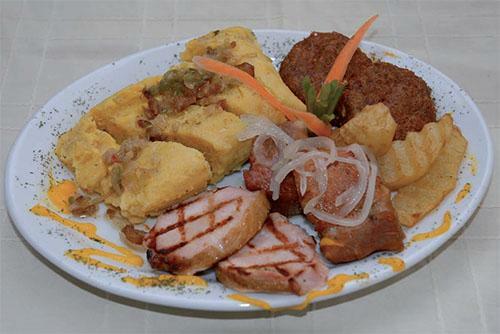 Opened in 2008, La Barca's main dishes are traditional Cuban cuisine with very Creole-like names: completo Camagüey, cerdito mamón asado entero (roasted pork), bacalao a la cubana (codfish Cuban style), fritas habaneras (Havana fries), buñuelos (fritters). They are served with the most exquisite beverages from the island, or abroad if you prefer, creating a perfect gastronomic marriage at this facility run by the Habaguanex Company. 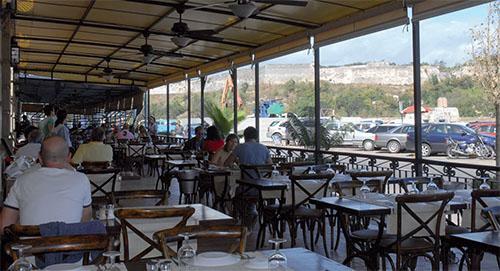 Revenue from this restaurant contributes to the rehabilitation of the colonial areas of the Cuban capital. For the locals who walk around the area daily, the revival of this facility seems another of the magic tricks by the City Historian's Office in the Havana Historic Centre restoration process. The terrace, interior roofed patio and two reserved air conditioned spaces occupy the former Suárez Building at the intersection of San Pedro and Obispo Streets. The building used to be the seat of the González y Suárez S.A. import company. The company manager, Spaniard Florentino Suárez González, in 1918 purchased the Conde de Santovenia mansion, today the Santa Isabel Hotel, which had La Barca at the rear. Since then, the building has welcomed several institutions from Great Britain, such as the British diplomatic delegation to Havana, the Havana Coal Co., Havana Marine Railways Co. and others. It was also the home of Captain C. H. Stapleton, president and founder of Havana's British Club and one of the most important characters of the British colony living in the capital. Today, thanks to La Barca's skilled young staff, each client arriving to this restaurant feels as if he has entered a kingdom where it is possible to savor traditional Cuban dishes.